I used large sugar crystals too. 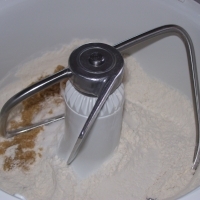 Mix together the flour, sugars, baking powder and salt. 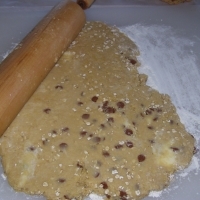 Cut up butter into chunks. 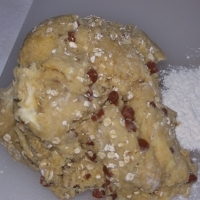 Mix butter into the flour mixture until blended. You should have pea size chunks of butter. Add to the dry ingredients. Mix. Add the cinnamon chips and oatmeal. Mix. Put dough into circle, roll out. 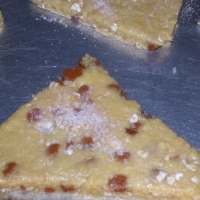 Cut into triangles, number depends on size of triangles. I made eight. Put on cookie sheet lined with parchment paper. Cook for 15-20 min. or until slightly brown. sounds awesome! got to try it thanks!! Hmmmm. Looks really,really good! 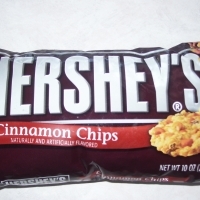 You know I have cinnamon chips, so I'm gonna have to try these with a hot cuppa coffee! Hope all is well with you and yor're finally having a warm summer! I'm just getting back into the swing of things and hope to post more recipes soon. I made a fresh peach cobbler today....my bad! sounds wow!! my only problem it's finding the cinnamon chips,mmm, I haven't seen them here, maybe melting chocolate, adding a few drops of cinnamon flavoring and then chop it?, what do you think? WOw, these sound fantastic. 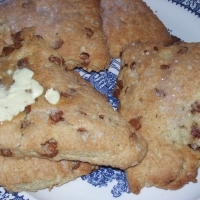 I had scones in Ireland last summer, but I'll bet yours are a lot better, cinnamon is my favorite spice....I need to give these a try for sure.....thanks. yum! just gotta find those chips!! 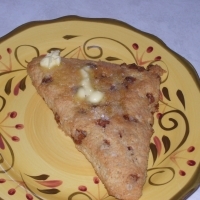 Oh Michelle, you are just plain EVIL to send this to me over my lunch hour, as I'm sitting at my desk with a leftover Burger King ham and cheese breakfast sandwich...somehow, it just doesn't QUITE compare to your scones!!!! Cruel and Unusual punishment...I can almost SMELL them - now I'm gonna have to stop at Panera on my way home (but, of course, they'll be out by that time of day...and yours look even yummier than theirs!). 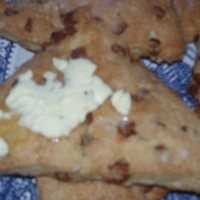 Guess I'm gonna have to learn to make scones next....so glad your recipe worked well for you - I knew it would! Fantastic job! !